​Hypnosis is perhaps one of the most controversial and misinterpreted psychological methods of treatment. It’s negative projection in movies and sideshows, has led it to be viewed as a manipulating act, in which the targeted individual’s mind is brainwashed and misdirected. However, the fact is that Hypnosis is a valid therapeutic treatment technique in which you are put into a state of concentration that facilitates suggestions and opens you up to messages about breaking negative influences and bringing about positive changes in your lives. 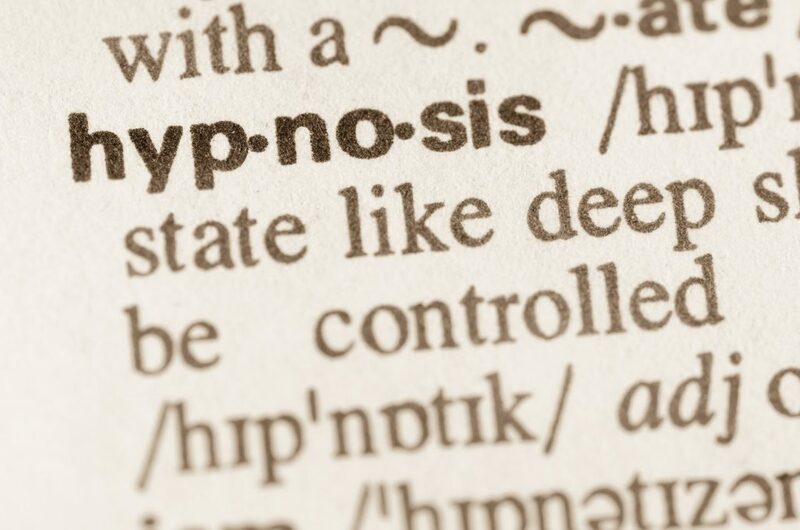 The word Hypnosis is derived from the Greek word “Hypnos” which means sleep. However, hypnosis does not require you to sleep, rather, it is an artificially induced state of trance in which you are fully alert. According to the American Psychological Association, Hypnosis can be defined as “a state of consciousness involving focused attention and reduced peripheral awareness characterized by an enhanced capacity for response to suggestion”. So, What Exactly Happens During Hypnosis? This is a very frequently asked question, and people are eager to know what exactly happens to a person during a hypnotic trance and why they behave the way they do. High and effective functioning of senses i.e. you see, feel, taste and smell better. However, the hypnotic trance is not something that is reserved for the psychiatrist’s office only. Though not so well-defined and absorbing, everyone experiences some form of “hypnotic” moments in their day to day life. In moments like these, your senses are all alert and wide awake but your focus is on a specific thought or action. So, much so you may ignore all other stimuli around you that are waiting to be noticed. When praying or meditating, focusing on your inner voice, even though in a crowded church or place of worship. While you are reading an interesting novel, you may be oblivious to the various other sounds around you. When you are lost or deep in thought, you have a tendency to block all other voices around you. In the moments mentioned above, your body is not asleep, but is fully awake and focusing only on one specific action, though there may be many other things going on around you. It is as though you are in a trance, unaffected by what is happening around you. Similarly, as you experience hypnosis, you enter a trance where your mind is gradually guided to disconnect from the external surroundings. And once the mind and body tunes out all external stimuli, and has calmed down, the hypnotherapist directs you to your inner subconscious and encourages you to focus on the positive suggestions that he/she makes. It is in this state that you have full access to your hidden thoughts, fears, memories, and imaginations. You experience no fear to embrace the hypnotist’s suggestions as you are unaffected by judgment and behavioral norms. Freud states that we have three different states of awareness and capability in dealing with the environment around us, they can be termed as the conscious, subconscious and the unconscious. The conscious state is the one in which we are aware of what is happening in our surroundings and have a control over our actions. The subconscious state is the one wherein you are not currently aware of things but can easily recollect and bring it to your conscious state. During the process of Hypnosis, the subconscious mind is woken and the conscious control of the mind is inhibited, thereby leading to an altered state of consciousness. The subconscious mind contains our deep-seated fears, hurts, uninhibited desires, and reasonings. In order to bring about a positive change in behavior in the conscious state, the subconscious needs to be accessed and altered. For e.g. If a person suffers from the fear of surgery, and has consciously tried several ways to overcome this fear and has been unsuccessful, he/she can try hypnosis as this method accesses their subconscious and repressed thoughts, thus helping heal their unexplained fears and reasoning. However, the extent of behavioral change depends on the individual’s readiness and willingness to be open to hypnotherapy. Hypnotherapy generally requires many sessions in order to bring about a positive behavioral change. Self-Hypnosis is another useful technique an individual can learn in order to either reinforce the insights learned during hypnotherapy or deal with day to day issues that hinder one’s personal performance. Self-Hypnosis is effective only when done in the right way. A good self-hypnosis recording helps convey the right messages to your sub-conscious. Self-Hypnosis differs from self-talk as it is rid of doubt and hesitation and is more characterized with positive suggestions that help build confidence to bring about the necessary change. Pain Control: Hypnosis is very beneficial in helping reduce pain related to fibromyalgia, irritated bowel syndrome, headaches, joint pain and dental procedures. Hot Flashes: Also, symptoms related to menopause can be eased. ​Behavioral Change: Insomnia, bed-wetting, smoking, phobias, obesity, depression are some of the behavioral problems effectively treated by Insomnia. Hypnosis, when done in the right way and with the right therapist or self-hypnosis recording, can bring about great positive changes. Self-Hypnosis and a lot of resources related to the subject are available here, just one click away. You need to try it and experience its many benefits before you dismiss it just as another procedure.